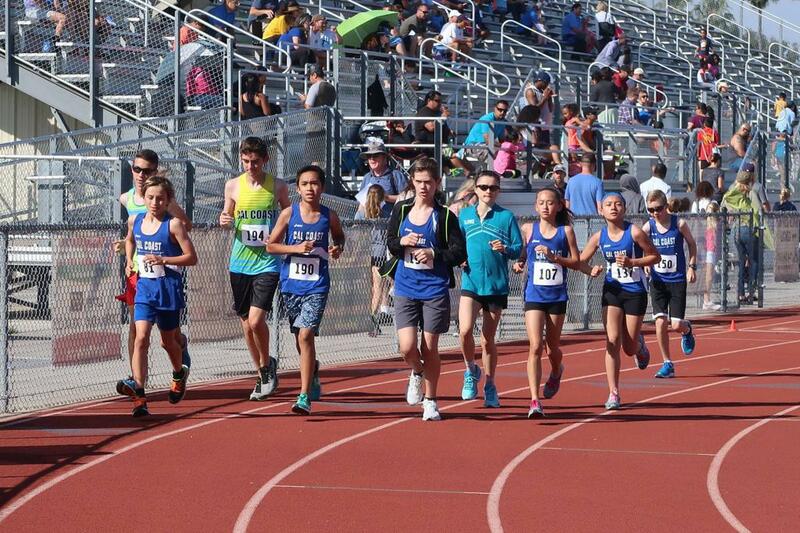 The Cal Coast Track Club of Southern California has members composed of youth and adult, casual, competitive, master, and elite runners and walkers. Cal Coast offers individual coaching and group training programs for all levels on a year-round basis. No matter what your level of running is, or whatever your goal is, we have a program for you. Along with the various training programs we offer, the club also conducts monthly social events, club races, and road trips. Our key to success is providing a fun and healthy environment. In a race where Edward Cheserek tied the world 5K road mark of 13:29 his performance was almost overshadowed (but not quite, congratulations Edward!) by the Cal Coast showing at Carlsbad. 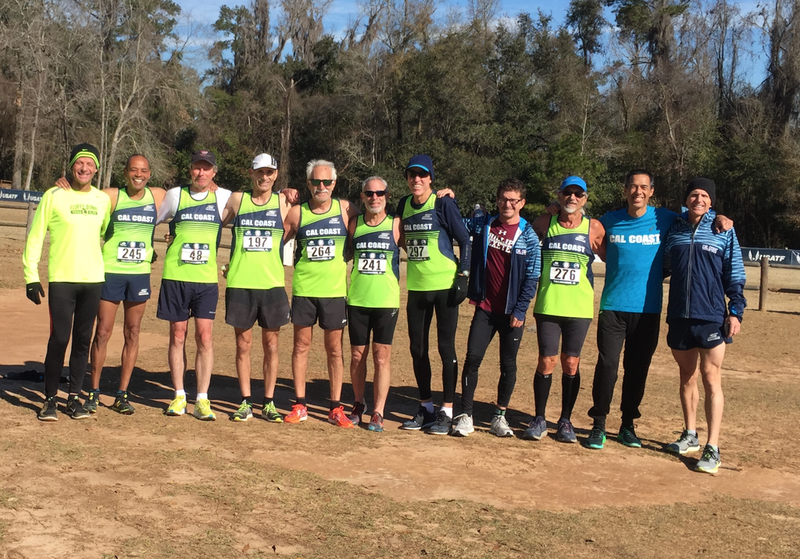 Running against some of the best in the country our Masters team was led by Jacques Sallberg (fresh off his USATF National XC victory in Tallahassee) with a 3rd place finish followed closely by John Gardiner and Christian Cushing-murray. A special shoutout goes Roosevelt Cook who today completed his 9th Carlsbad5000. After 8 victories of crossing the finish line first in the 30 - 39 age group race this years race was changed to a 39 & under race where he was edged out by a 27 year old in the overall race but still winning the 30-39 group. Roosevelt has had the most wins of any athlete in the history of the event, and we at Cal Coast are looking forward to him joining our Masters runners to extend those victories. Over 4800 runners registered for the very popular Encinitas Half Marathon this year. Cal Coast Elite were led by Bijan Mazaheri along with impressive performances from Jose Penaloza for the men and Ashlee Powers for the women. In his first race as a Cal Coast Elite Kevin Horchler of La Mirada wins the Allstate Hot Chocolate 15K in San Diego in the time of 47:37 a pace of 5:07 per mile. Kevin finished almost 7 minutes ahead of the nearest competitor. Congratulations Kevin and welcome to the Cal Coast family. Cal Coast's day started off with Arielly Conde leading a field of 43 runners to the W800 in a time of 2:13.31 AC ran off the front the entire race holding her 2nd and 3rd place competitors off with a gritty performance down the final straight. Josh Espinoza followed with a stunning victory in the Men's Steeplechase with a time of 8:53.66. A six second PR for Espinoza whose last SC was run in 2015 as a student at Vanguard University. In the W5000 Cal Coast Elite sisters Chelsey Albertson and Weslie Pearce finished 3rd and 5th respectively in a field of 153 runners spread over 4 very crowded heats heats. Thank you goes out to all our athletes for the club's successful showing at Oxy as well as to the many club members also in attendance in their capacity as collegiate coaches for a number of the local colleges and universities. 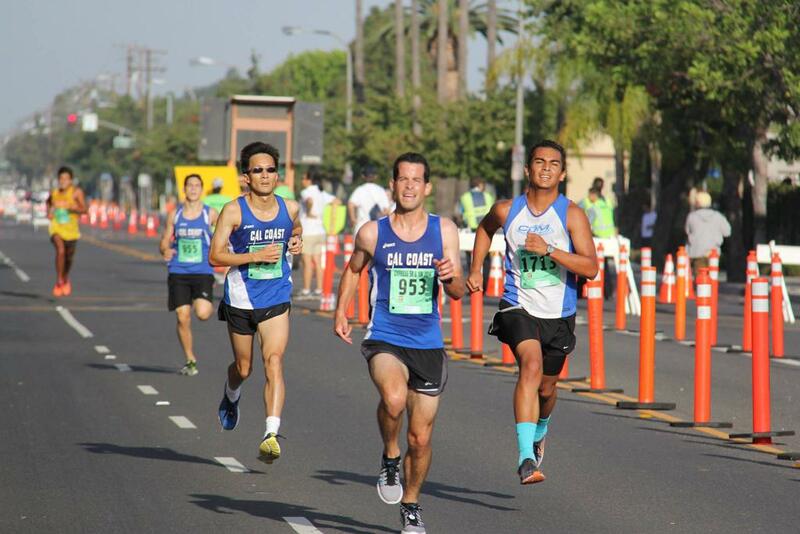 Cal Coast runners, led by Josh Espinoza, took the top 5 places at the Brave 5K in Aliso Viejo on Saturday February 23rd. Ashlee Powers, 5th place overall was the women's leader. Thanks go out not only to our winners but to all of Cal Coast for supporting this worthy cause. Roosevelt Cook wins RnR Nashville Half Marathon...Again!